Pontoon was the original name given to blackjack in Australia and the UK. It was taken from “Vingt-et-un”—a French word for twenty-one. It was first played in the 17thcentury. The main goal of blackjack is to get twenty-one, the natural way. Cards are given to you in rounds. Wagering followed every round. If you are the first to get a twenty-one, you win. You get all the bets the other players placed. In the 1800, the modern version of blackjack reached the United States. Blackjack was the name given to it because if the player gets the Ace of Spades and the Jack of Spades as the first two cards, it results to bonus payout. As years progress, many versions of blackjack keep on popping up. Presently, there are European blackjack, Vegas Strip Blackjack, and Atlantic City Blackjack. Because of the Internet and the birth of online casino gaming in the 90s, blackjack started to reach computers in every person. It is now one of the most popular online casino games, as it is very easy to adapt to computer screens. Online blackjack games, such as Gold Series High Streak, have vivid graphics and amazing sounds. They also have a Random Number generator that fairly deals the cards. Maybe it’s time for you to try your luck in Gold Series High Streak Blackjack. There’s nothing like winning in the comfort of your own space. Gold Series High Streak Blackjack has state of the art graphics. It also offers you many opportunities to win bonuses. You can also choose what strategy you want to use. If you don’t want to interact with the game that much, you can just easily activate Autoplay. Unfortunately, you can only play one hand each time. The rules of the game are not completely favorable as well. Hopefully, these are not enough to discourage you. Great experience. Gold Series is able to transport you into a European Casino. 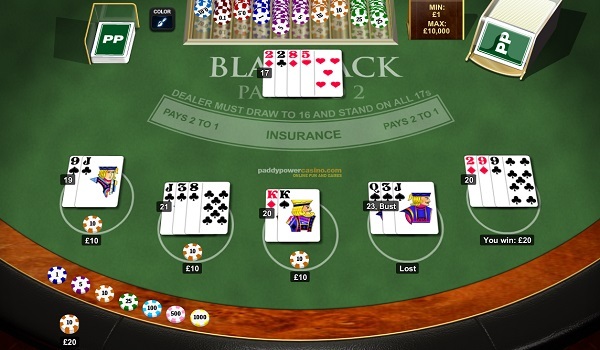 If you are into European casinos, then this is the blackjack game for you. High Streak Side Bets. This is a twist to the game because it makes you payouts escalate. It also benefits you a lot if you start to go on a lucky streak. Just place this alongside your regular bet. Once you win the second hand (consecutive), the High Streak is activated. If you gain more winning hands, your payout increases. Reshuffling. This happens to the cards once you finish playing each hand. After reshuffling the cards, they are dealt in the following round. The value of 1 or 11 are assigned to Aces. All face cards you have, has ten as their value. Microgaming design. You can only get the best online casino gaming experience with Microgaming. The Gold Series High Streak has a crisp and clean interface. It also allows you to control everything that you see on your monitor. The superb software enables you to place your bets easily, just by clicking on the chip and the clicking the betting square. If you want less game interaction, feel free to activate Autoplay. For a more challenging experience, turn on the Expert Mode. Its Game Analyzer can easily improve your performance during the game. Playing High Streak Blackjack can be complicated, especially since this is a modified version of the basic blackjack. It may take some time, but you can eventually get used to it. So, go ahead and start a new level in your online casino gaming with Gold Series High Streak Blackjack.